How “green” are the winter Olympics? 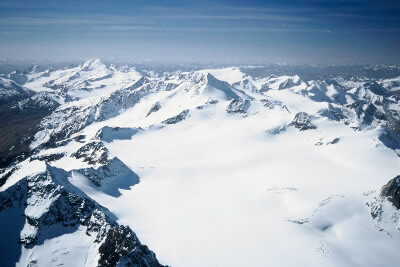 Turin, Italy – As the 2006 winter Olympics open in the Italian Alps, WWF has drafted its first assessment of the environmental impacts of the Games. In the assessment — Ice, Snow and City — WWF gives the Olympic organizers in Turin a “satisfactory” grade for meeting environmental standards. On the positive side, WWF commended the construction of buildings in Turin that will be used after the Games, as well as clean-fuel public transport and recycling of materials in the Olympic villages. According to the global conservation organization, the five ski-jumps in Pragelato affect four European protected sites, especially the special protected zone of the Val Troncea. The bobsleigh run in Cesena San Sicario has been built in a protected landscape. WWF is also critical of the use of artificial snow for the Games as it weighs as much as five times more than real snow, damaging the ground and requiring millions of cubic metres of water, as well as concerned about energy consumption patterns throughout the event. “Considering the great symbolic value of the event, more should have been done to reduce energy consumption,” Savoia added. The Olympic flame, a 57m high torch which burns 8,000 cubic metres of methane per hour in 15 days, is enough gas to serve a village of 3,500 inhabitants for a whole year. “Although we consider the Turin Olympic experience in a generally positive light, we hoped that the Olympic committees would have focussed more effectively on environmental objectives, especially considering that the sporting event take place in as sensitive area as the Alps,” said Gaetano Benedetto, WWF-Italy’s Assistant Secretary.